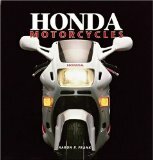 HONDA MOTORCYCLE MANUAL: ALL MODELS, SINGLES AND TWINS 1960-1966: 50cc, 125cc, 250cc & 305cc. Ed Scott, Paperback, 312 illustrated pages. 1947 to 1977. Includes CB72, CB77, CB 450, KO 750, CR110, and CR93. 28 pages of specifications.